There can’t be many days when the two best birds on Fair Isle both share their monikers with a Tragopan, but Temminck’s and Blyth’s both managed one of their namesakes (admittedly their slightly less colourful ones) on the island today. The 26 year wait for a Temminck’s Stint was broken in 2013 when Richard found one on Da Water in spring last year, so you’d presumably have got quite good odds on Richard repeating the trick this year by finding the island’s 19th Temminck’s Stint on Da Water; but that’s exactly what happened. Unfortunately it didn't hang around to be admired by many people and had vanished by the afternoon (living up to the old 'Ten-minute Stint' nickname). It was already proving to be quite a good day, with a light to fresh SE wind bringing in a few common migrants and the Stint was a real bonus, but things got better (in a national sense at least – the Stint was by far the rarest Fair Isle bird to be found today) with a Blyth’s Reed Warbler on the Hill Dyke, found just after lunch. The lack of warm or yellow tones, with the white throat offset against greyish underparts is always a good clue you could have found a Blyth's Reed Warbler. 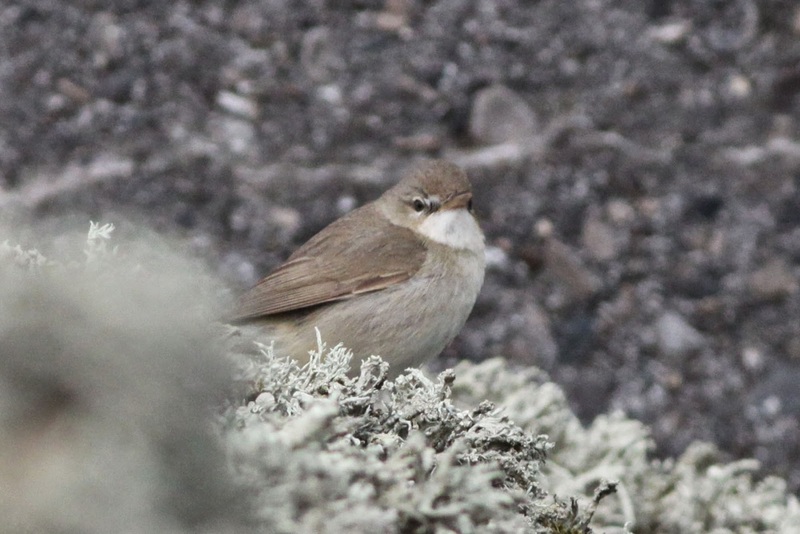 The 36th Blyth's Reed for Fair Isle (if accepted), we've averaged over three a year since 2010. This is the fourth spring record in that time. Species showing increases included 10 Spotted Flycatcher, 3 Garden Warbler, 12 Whitethroat (all highest counts of the year so far), 10 Chiffchaff, 7 Willow Warbler, 2 Lesser Whitethroat, 2 Blackbird, 2 Pied Flycatcher, 4 Tree Pipit, 4 Siskin and 4 flava Wagtails. The flava Wagtails today consisted of two smart male 'Yellow', a female 'Blue-headed' and one unidentified to race as it flew over. 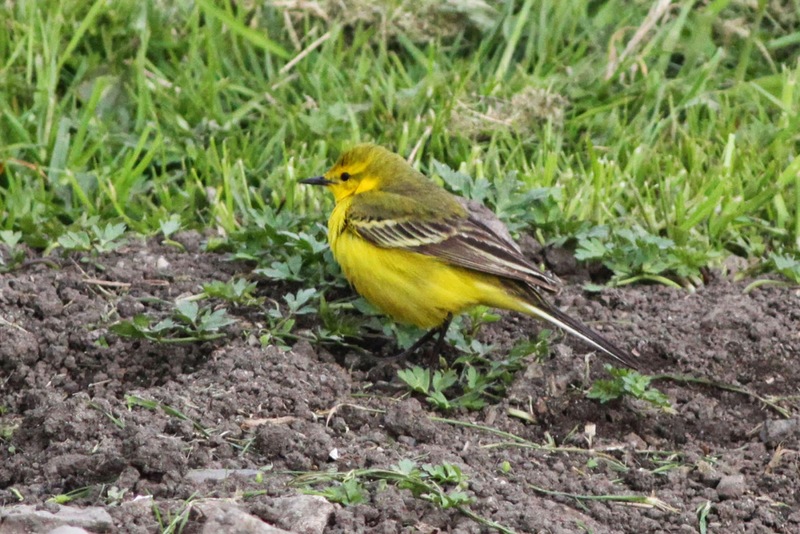 Yellow Wagtail is often the scarcer of the three races encounted regularly on Fair Isle (Grey-headed can often be the commonest). An interesting array of scarcities may have included more new birds arriving with an Icterine Warbler and Bluethroat (both at Quoy), Common Rosefinch (at Hesti Geo) and Short-toed Lark (Malcolm’s Head) all potentially lingering birds on the move, but all perhaps as likely to be new migrants. 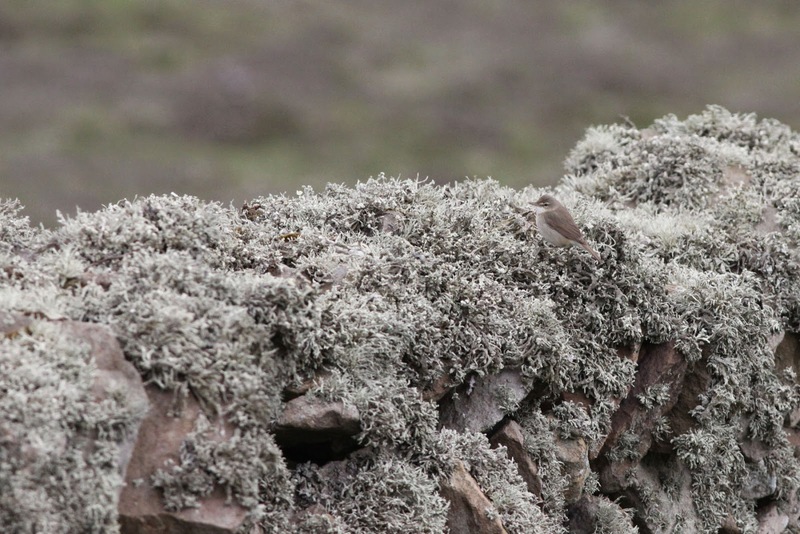 Less equivocal were the long-staying Caspian Stonechat, Kumlien’s Gull and female Western Subalpine Warbler and a new Red-backed Shrike at Burkle.